As we approach the beginning of 2018 — Asia Law Portal continues its’ tradition begun in 2015 and followed up in 2016 and 2017 — of naming 30 people to watch in the business of law in the coming year. In retrospect — if 2017 were to be represented by one single development in the the Asia Pacific legal markets — it would be infrastructure development and the importance it now plays in the plans of some major international law firms and Big4 accounting firms. 2017 saw a deepening of institutional support for China’s vast Belt and Road infrastructure initiative, which spans the Asia-Pacific region, through Africa, the Middle East, Central Asia to Eastern and Western Europe, and which is supported by more than 60 countries and China’s newly launched Asian Infrastructure Investment Bank (AIIB). Japan, along with the Asian Development Bank, has also launched its’ own similar infrastructure initiative, which was recently joined by the United States. So now the world’s three largest economies have their eyes set on Asia-Pacific region infrastructure development. It’s possible the new US-Japan infrastructure initiative may in the future be watched as closely by lawyers and legal services sector professionals — as Belt and Road already is. Legal jurisdictions in the region, particularly Hong Kong, are already well on their way to becoming hubs to regional infrastructure development via the provision of focused, sophisticated legal services including arbitration, project finance, M&A and other specialized services. Professor Teresa Cheng, Chair of the Asian Academy of International Law and Senior Counsel of DesVeoux Chambers in Hong Kong. In an interview for The Myanmar Times during the Belt and Road Summit in Hong Kong last September, Professor Cheng explained how “legal structures in many individual member-states within ASEAN are sufficiently advanced to allow the level of international collaboration necessitated by the [Belt and Road Initiative]”. Cheng was also the creator of the 2017 Colloquium on International Law: Common future in Asia, conducted in Hong Kong in July. Gerard Sanders, General Counsel, Asian-Infrastructure Investment Bank (AIIB) – As the AIIB’s website details, “Sanders advises the President and governance bodies of AIIB and is responsible for the legal aspects of the Bank’s work. Prior to joining AIIB, he was General Counsel of the International Fund for Agricultural Development, previously having worked at the European Bank for Reconstruction and Development, most recently as Deputy General Counsel” Having recently joined AIIB, Sander’s work (which he explains in this interview with Cynthia Claytor, Editor of Hong Kong Lawyer) will be integral to the successful development of China’s Belt and Road infrastructure initiative. Seok Hui Lim, Chief Executive Officer, Singapore International Arbitration Centre (SIAC). As Lim’s biography details: “As the Chief Executive Officer of Singapore International Arbitration Centre (SIAC) and the Singapore International Mediation Centre (SIMC), Ms Lim is responsible for the overall management and operations of both Institutions. She has previously worked in Hong Kong and Singapore as a corporate, securities and M&A lawyer in private practice with international firms, and held various General Counsel roles in multinational corporations prior to joining SIAC and SIMC. She qualified as a Barrister and is also admitted as a solicitor in Singapore, Hong Kong and England & Wales.” Lim recently opened a second SIAC office in India, as Bar and Bench detailed. Hiranmai Rallabandi – Rallabandi is Associate General Counsel, India & Southeast Asia, for international commercial real estate services company Cushman & Wakefield. She was recently selected as one of the Top 100 Powerful Women in Law in India by the World Intellectual Property Forum. India’s real estate sector has undergone significant recent reform, making the country ripe for even more foreign investment, where careful management will be an integral element of healthy returns. Sourish Mohan Mitra – Director, Legal Affairs for global research firm Gartner, based in New Delhi. A keen observer of India’s economy and its’ intersection with legal services, he chronicles his observations once a month here on Asia Law Portal. Among the many topics he provides insight on is the long and winding process toward legal market liberalization in India. Peter Connor, Founder and CEO of AlternativelyLegal. Australia-based former in-house counsel Peter Connor conducts ‘Everything But The Law’TM innovation sessions for in house lawyers throughout the Asia-Pacific region. He recently delivered the keynote speech at the InHouse Community Annual Congress in Hong Kong to over 600 attendees on the evolution of the legal profession. Petra Stirling, Head of Legal Capability and Transformation, Gilbert + Tobin – Stirling leads business transformation across solution design, client consulting, emerging technology, enterprise change and R&D projects, providing market leading and first-to- market services that convert business opportunities for one of Australia’s most innovative law firms. Jasper Kim, Kim is keen observer of the Asia-Pacific legal market and currently serves in a wide-variety of academic and business roles at the intersection of law, business and public policy, including Senior Fellow at Melbourne Law School, Lecturer in Law at Berkeley Law, former visiting scholar at Stanford University and Harvard University, Director at the Center for Global Conflict Management, Professor at the Graduate School of International Studies at Ewha University and Chief Executive of Asia-Pacific Global Research. 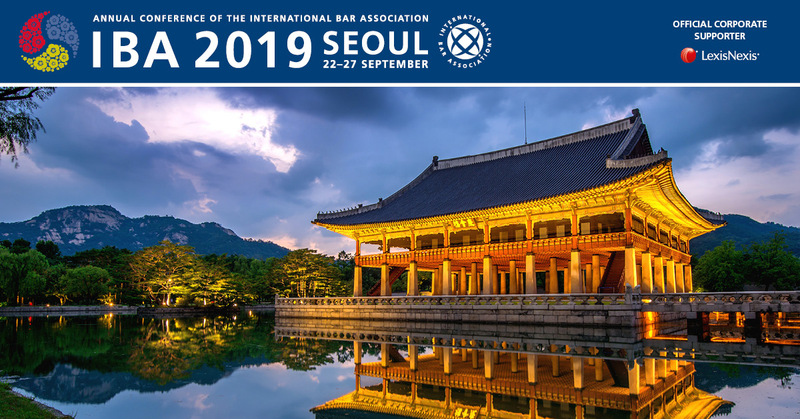 Kim recently outlined for Asia Law Portal his view of the potential implications for legal services should the United States withdraw from the Korea-US Free Trade Agreement (KORUS). Deon Wong, Senior Director, Asia Pacific at Association of Corporate Counsel. In September of 2017, the Hong Kong Corporate Counsel Association (HKCCA) and the Association of Corporate Counsel (ACC) officially joined forces. HKCCA become ACC Hong Kong, and ACC welcomed approximately 800 HKCCA members to the association. Wong leads the organizations Hong Kong efforts. Wong provided more insight on the merger between the HKCCA and ACC here on Asia Law Portal. Vikas Vij, Managing Director, IDEX Legal – The first ever Asia Law Firm Management Congress (ALFMC) took place in Mumbai, April 20, 2017. The event was presented by ThomsonReuters and curated by IDEX Legal. Richard Wee, Head of Sports Law Practice, MahWengKwai — Wee, along with lawyers Puan Sarah Kambali, Lesley Lim and Marlysa Abdul Razak, established the Mah Weng Kwai Sports Law Practice in 2016, as Asian Legal Business detailed at the time: “A sports law specialist, Wee has organized the Sports Law Conference, the Sports Law Association of Malaysia’s (SLAM) annual event, since 2013. He is also a member of the Disciplinary Committee of the Football Association of Malaysia and the Australian and New Zealand Sports Law Association.” Wee and his colleagues regularly write about sports law issues for the firm’s blog and he explained what makes Sports Law unique in a recent interview with Asia Law Portal. Veronica Rios, Executive Manager, Content AU & Rule of Law APAC, LexisNexis Asia-Pacific. 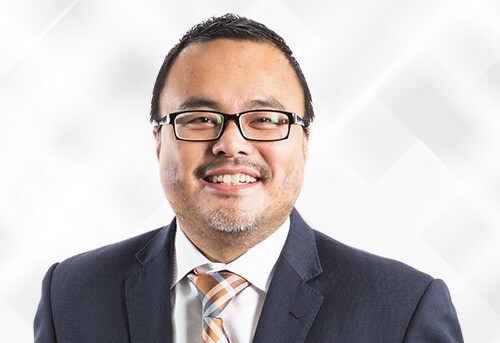 Rios is responsible for driving initiatives that assist developing and developed nations within the Asia Pacific region to strengthen the rule of law by leveraging the expertise and resources of LexisNexis. Veronica joined LexisNexis in 2007 and has a Masters Degree in Human Rights Law and Policy. Graham Anderson, lexvoco. In early 2017, NewLaw firm lexvoco, which is based in Australia and which also operates in New Zealand, began operations in Japan. Lexvoco is the first NewLaw secondment business to do so. Anderson, a capital markets attorney with 20 years’ Asia-Pacific region experience — leads Lexvoco’s Japan efforts. Anderson previously lived in Tokyo for 10 years where he worked for Japan’s largest law firm, Nishimura & Asahi, its oldest international law firm, Blakemore & Mitsuki, as head of the Corporate Counsel Asia group at Lehman Brothers, and as a Tax Associate at PwC. Edwin Seah, Head of APAC Business Development and Strategy, Lex Mundi. Lex Mundi is among the world’s leading networks of independent law firms with coverage in more than 100 countries. Among Seah’s responsibilities include client identification and pursuit of opportunities in the APAC region. Jo Fan Pang, Head of Marketing and Communications Strategies, CanLaw, one of Malaysia’s first legal tech startups, currently growing a lawyer-discovery platform in Malaysia. In November, 2017, CanLaw organized the LexTech17 conference, focused on raising awareness of legal tech in Southeast Asia. Andrew Barnes, President of the Australasian Legal Practice Management Association (ALPMA), and Chief Executive Officer of Sladen Legal. ALPMA has taken a leadership role in helping Asia-Pacific region law firms adapt to the fast changing legal marketplace and recently held its’ second annual Regional Law Firm Management Forum in Singapore. Royal Reed, Principal, Prestige Law. Reed founded and directs this unique New Zealand-based multilingual boutique law practice specializing in cross-cultural dispute resolution, immigration and Chinese foreign investment into New Zealand. Elaine Lo, Partner and Head of China Practice, Mayer Brown JSM. As her biography details: Lo “focuses on foreign direct investment into China, cross-border mergers and acquisitions, structuring joint ventures, technology transfers and corporate restructuring. Elaine is involved in many industry sectors in China, particularly energy, water, utilities, telecommunications, banking, insurance, wholesaling, retailing, advertising, logistics and distribution. She has extensive experience in acting for government authorities, project sponsors, lenders and equity participants in project finance deals. 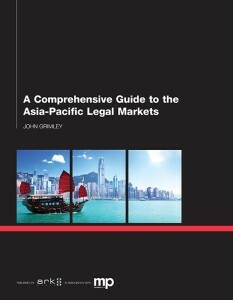 She advises banks and financial institutions on M&A, asset and project finance.” Notably, Mayer Brown JSM has published what is perhaps the most comprehensive overview of China’s Belt and Road initiative to date by any law firm in the region. Entitled: The Belt and Road Initiative: Realizing the China Dream, the ebook can be viewed on the Mayer Brown JSM website here. Paul Harrison, Partner, White & Case, Tokyo — Last year, Harrison co-authored an article entitled: Asia’s infrastructure opportunity: Both Japan and China have significantly increased their commitment to invest in Asian infrastructure, but steps must be taken in a number of other areas to unleash the region’s full potential. Given Japan’s increased commitment to Asia-Pacific infrastructure development, now alongside the United States, it will be interesting to see just how much Tokyo infrastructure legal specialists have to say about the subject.